Nina Dobrev joined Kiersey Clemons on the red carpet at the premiere of their new film 'Flatliners' at The Theatre at Ace Hotel yesterday evening(September 27th) in LA. 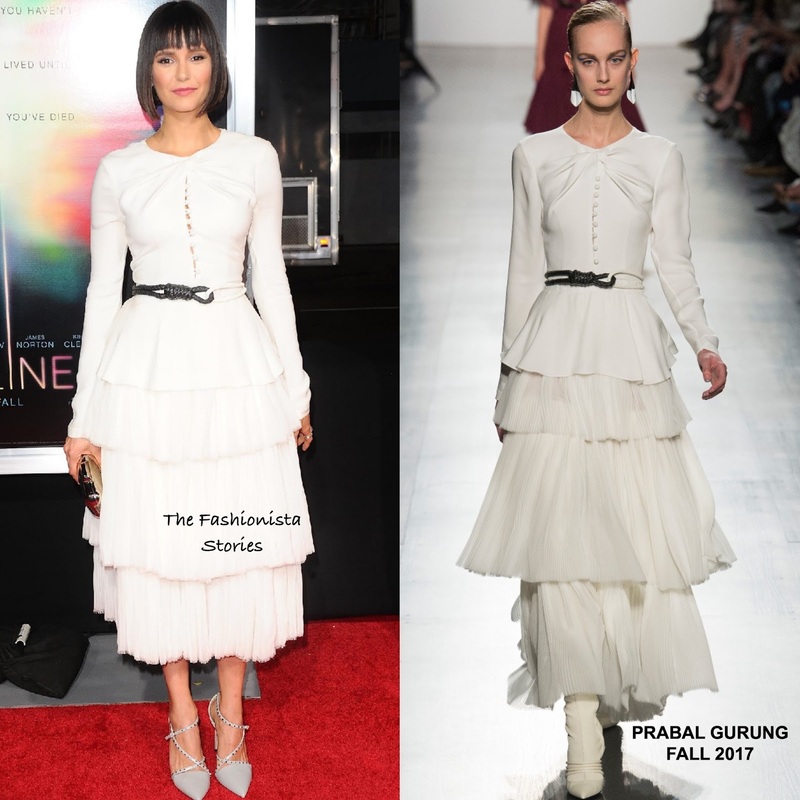 For the occasion, she wore a PRABAL GURUNG FALL 2017 off-white long sleeve calf length dress which featured a ruched, button bodice, a belted waist and a ruffle tier skirt. The actress debut a fresh, standout straight bob with bangs which she is wearing very well. While I think Nina looks great in this dress, the BULGARI clutch, belt and JIMMY CHOO heels doesn't pair well together. What do you think of the styling of Nina's look?